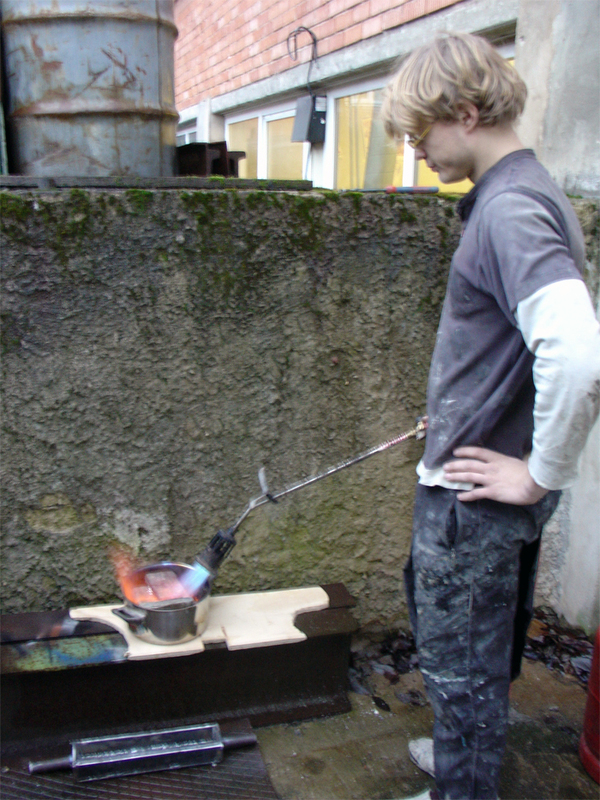 On the 30th of December we took the next step in smelting lead. A max 50-60 kW industrial gas burner. A potfull of lead melted in about 5 minutes. A vast improvement over our last experiment. This was great fun.